There's that scene at the very beginning of Star Wars, where you see the blockade runner fleeing towards a planet, and it looks pretty big. Then you start seeing the Star Destroyer, and seeing it, and seeing it, and it redefines your whole perception of big. The iPhone 6 is not like that at all. While its 4.7-inch screen is significantly bigger than last year's 4-inch model, its thinner, rounder body makes most of that difference evaporate when it hits your hand. That's why Apple is pitching the iPhone 6 as not only bigger but better — more advanced display technology, second generation 64-bit processor and motion coprocessor, improved cameras, faster cellular and Wi-Fi networking, and a new transaction system called Apple Pay. Yet power is far less important than empowerment. What good is a bigger display if it doesn't make the iPhone more accessible to more people? What good are better specs if they don't make the iPhone more capable in more ways? That's the audacity that underlies both the new iPhone 6 and the even bigger iPhone 6 Plus — that Apple can not only increase the size of the iPhone but once against expand the reach of personal computing. 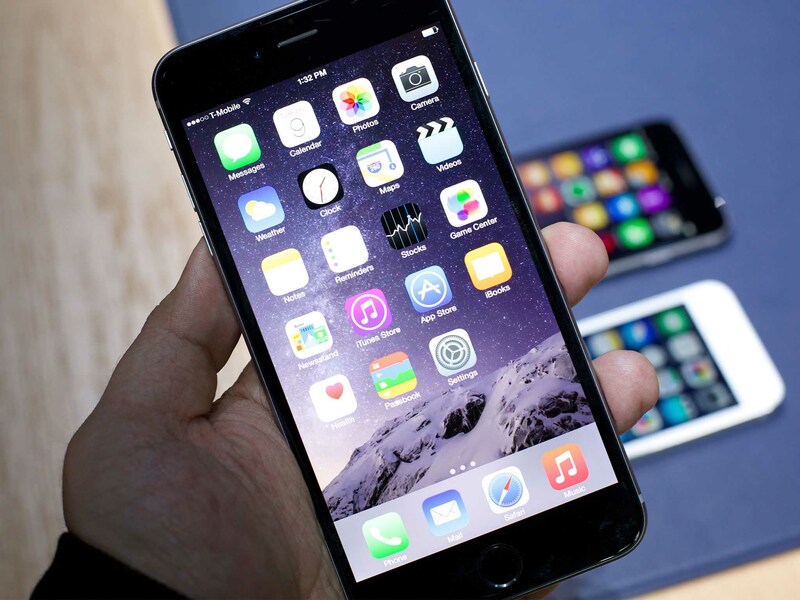 Apple has made the iPhone 6 bigger without making it significantly heavier, brighter and more functional without sacrificing battery life, and for those for whom even 4.7-inches isn't big enough, has introduced a 5.5-inch option as well. The bigger display might take some getting used to, especially for people with smaller hands who prefer using their iPhone one-handed. Also, while size and extensibility complaints have been silenced, those who want full customization will still need to look elsewhere. With faster chips, faster networking, better cameras, and an unprecedented choice between a denser or bigger display, the iPhone 6 is — no surprise here — the best, most accessible, most capable iPhone Apple has ever made. And, for most people, most of the time, remains the best phone period. The iPhone 6 — and iPhone 6 Plus — ship in the most minimalist boxes ever produced by Apple. They're white with nary a rendering of the phone in sight. All you get is an embossed shape form and the word iPhone printed along the sides. The iPhone design is so iconic that it's come to represent what most of us think of when we think of the modern phone. The rounded rectangle. The Home button. Yet as much as some elements have stayed the same over the years, others have continued to evolve. 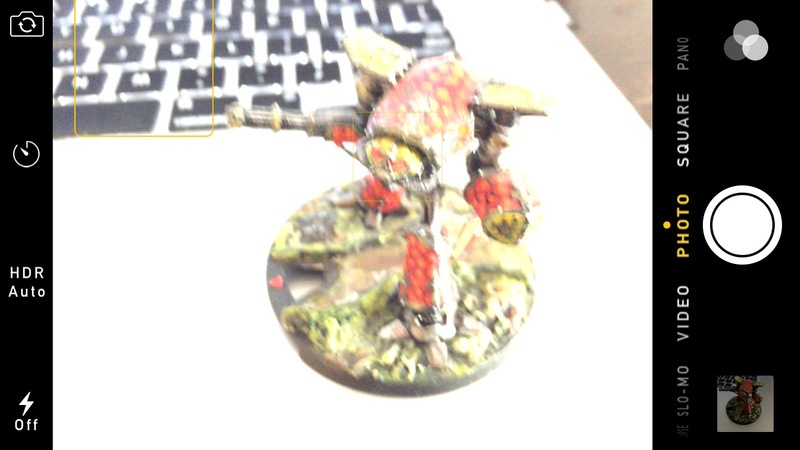 The form of the back. The length of the screen. The materials and the colors. 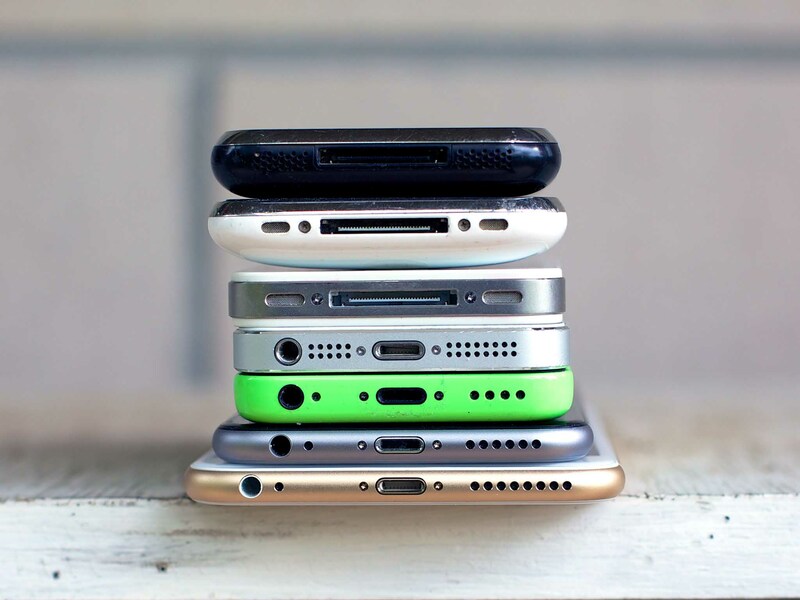 Every two years Apple reinvents the phone that reinvented phones. This year, however, the reinvention is bigger than ever. 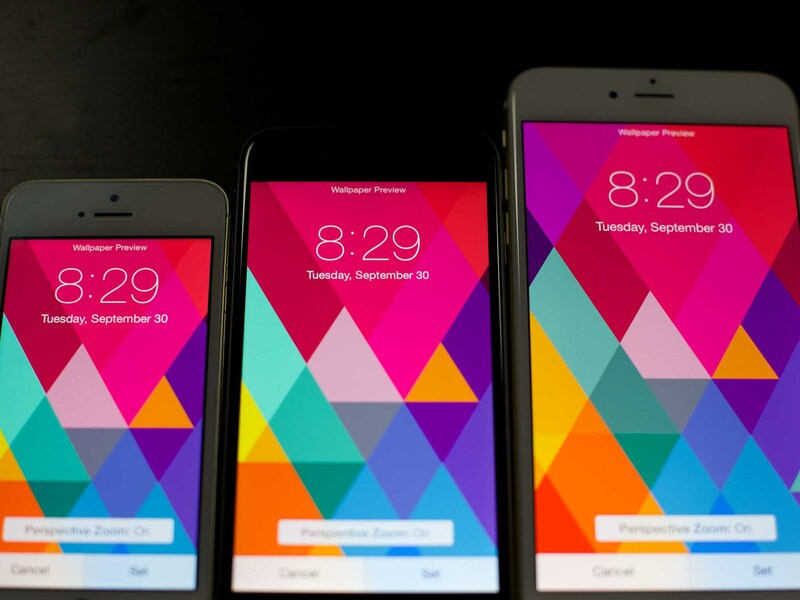 The iPhone 6 is both taller and wider than the iPhone 5s — 5.44-inches (138.1mm) high and 2.64-inches (67.0mm) wide. It's thinner, however, at 0.27-inch (6.9mm), and while it's weight, 4.55 ounces (129 grams), makes it heavier than the iPhone 5s, it's lighter than the iPhone 4s. It's really never been about thinness. Thinness is a byproduct of lightness. It's often argued that, instead of continuing to make iPhones thinner and thinner, Apple should keep them the same thinness and, instead, use the extra space to increase battery capacity. However, it's really never been about thinness. Thinness is a byproduct of lightness. 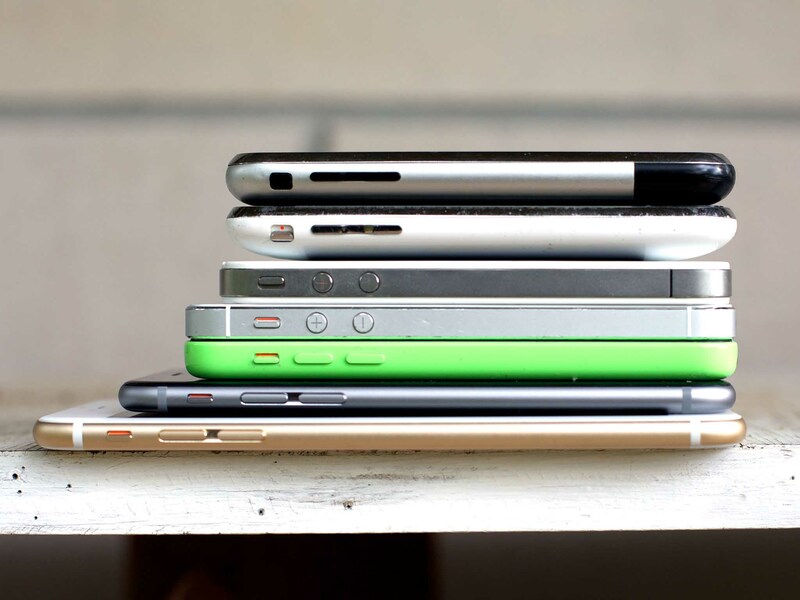 The thinner Apple can make the iPhone, the lighter they can make it. 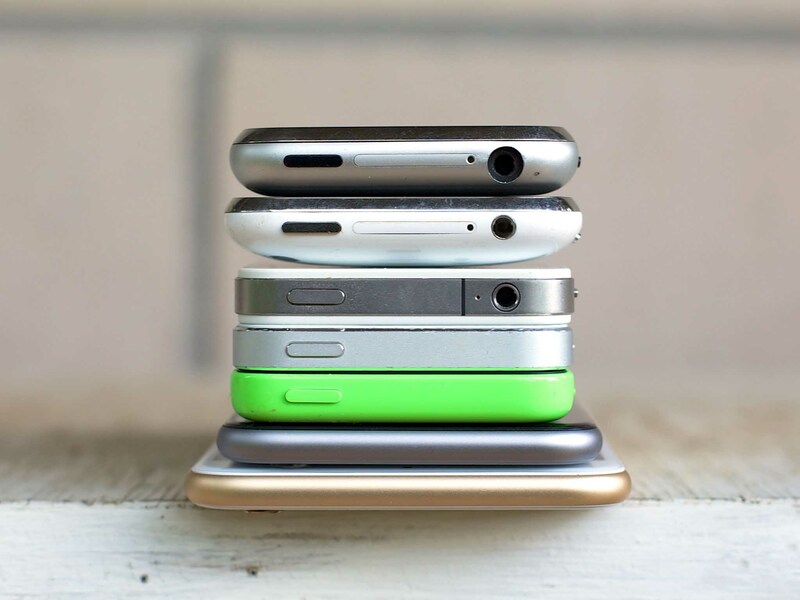 As the iPhone increases in size, keeping it as light as possible means that it can be held for a long as possible, by as many people as possible — for watching videos and playing games, for surfing web pages and reading books. It's a tradeoff to be certain, but one Apple seems to believe provides a better overall experience. That's why, while the iPhone 6 is significantly taller and wider, it's not much heavier — the increase in screen size is roughly 38%, but the increase in volume is only roughly 13%. It doesn't show, but it can absolutely be felt. To compensate for the larger size, Apple has moved the sleep/wake button from its perch atop pervious iPhones to a new position along the side, above the SIM card slot, opposite the volume buttons. Even after 7 years, it took me remarkably little time to get used to the new placement. Whether it's a better placement, I'm still not certain. It maintains consistency with the even bigger iPhone 6 Plus and is no doubt much better for people with small hands who would have a hard time reaching the button in its old position. However, when I'm grabbing the the iPhone from different angles, I've found myself accidentally squeezing the volume buttons on the other while clicking the sleep/wake button and vice versa. Apple has made it so that whenever the two buttons are clicked at the same time, the volume button always wins. This means you'll never turn your screen off by accident, which would be really annoying, but it means you will turn your volume up by accident, which is mildly annoying. The lightness, the roundness, the new button placements, and the new software concessions (see below) combine to make it so that the iPhone 6, even though it's bigger that the iPhone 5s, is almost as usable one handed. If you've got small hands and already had trouble adjusting from the 3.5-inch iPhone to the 4-inch iPhone, if you were already at your limits, than you might find the 4.7-inch iPhone is now beyond those limits. You might find you can no longer comfortably type, for example, while walking and holding a coffee cup in the other hand. If that's something you do a lot, you might want to stick with an iPhone 5s. If not, you can switch to holding your iPhone 6 in one hand and tapping with the other, if the larger display size is a worthwhile tradeoff for you. If you had no trouble adjusting from the 3.5-inch iPhone to the 4-inch iPhone, you'll likely be fine with the 4.7-inch iPhone as well. You might have to adjust your grip further out along your fingers, and if you find it slippery, you'll want to invest in a case. 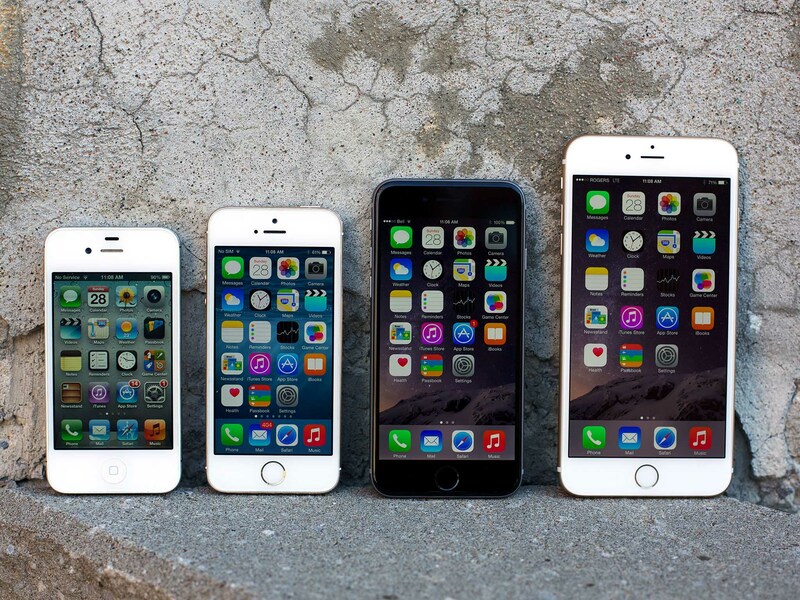 In addition to the size — or more properly, because of it — Apple has also changed the shape of the iPhone 6. They've kept the flatness of the last four generations but abandoned the squareness. Gone are the hard corners and chamfered edges. In their place is a design language far closer to that of the last iPod touch, of the iPad mini and iPad Air. Yet Apple didn't just bring the iPhone 6 fully into that family, they brought it forward. Not only are the back edges rounded now but the front as well. 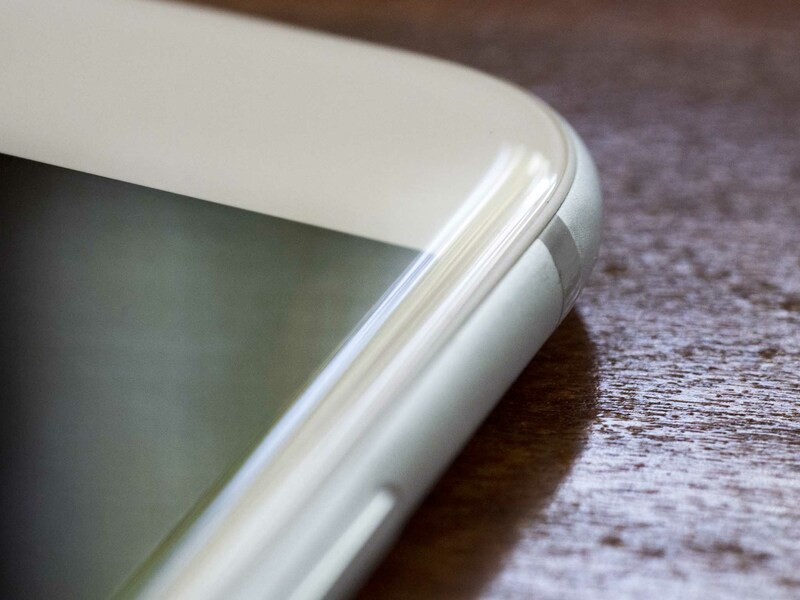 That makes the glass of the screen flow almost imperceptibly into the aluminum of the chassis. It makes edge gestures, like swipe-to-go-back, both easier and more comfortable to perform. It makes what has always felt like a singular object feel even more so, and what is visibly a wider device feel not quite so wide. The speaker looks the same, though it's noticeably louder and clearer, but the microphone no longer sports a matching grid of dots. 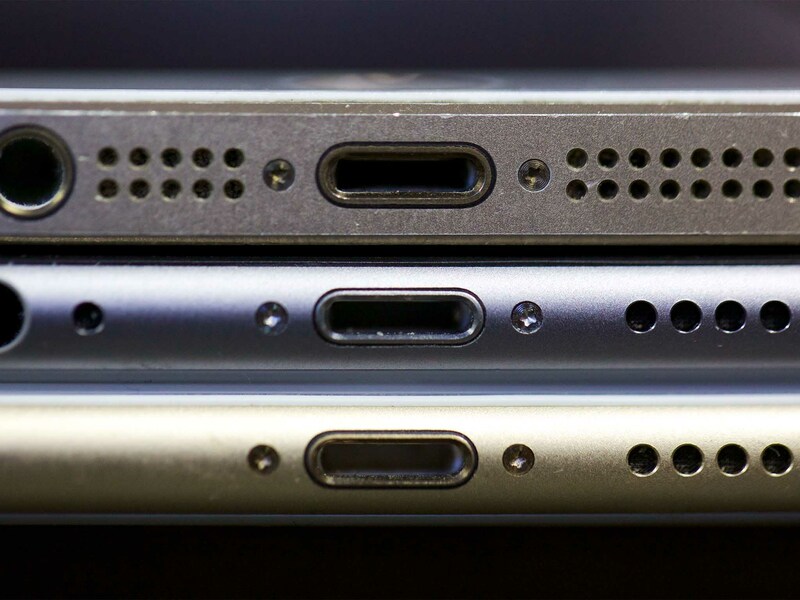 Now there's just a small hole beside the 3.5mm headphone jack. Gone also are the large ceramic glass windows, top and bottom of the backplate, that the previous generation iPhones needed to let radio signals in and out. 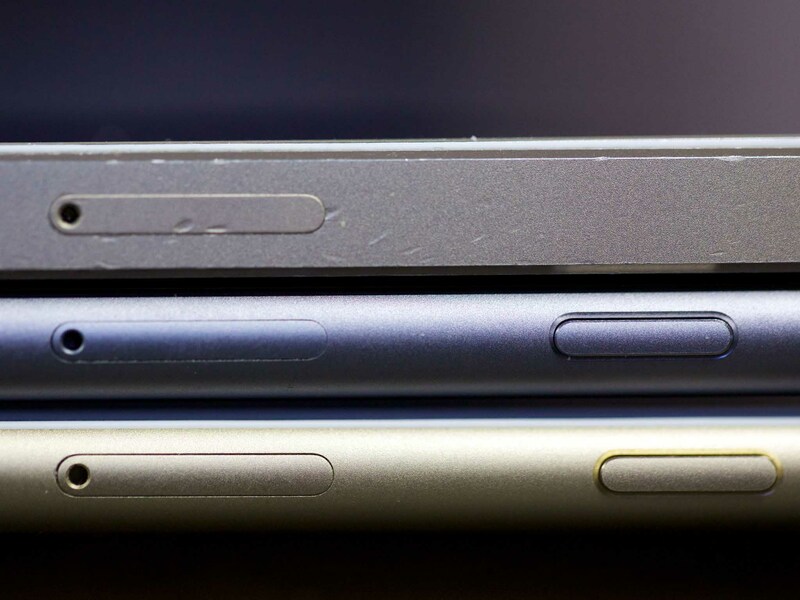 In their place are thin outlines of those shapes, which is all the iPhone 6 seems to need. Not everyone likes the way the lines look, especially on the gold iPhone 6 where the contrast is greater than on the silver or space gray finishes. Yet, to my eye, they look better than the larger windows of the iPhone 5 series, and the aluminum is better than the full glass backplates of the iPhone 4 series. They're functionally necessary but they're minimalist. Instead of a concession to radio transparency they're now closer to an adornment. It's still not a single piece of aluminum, at least not yet. But almost. 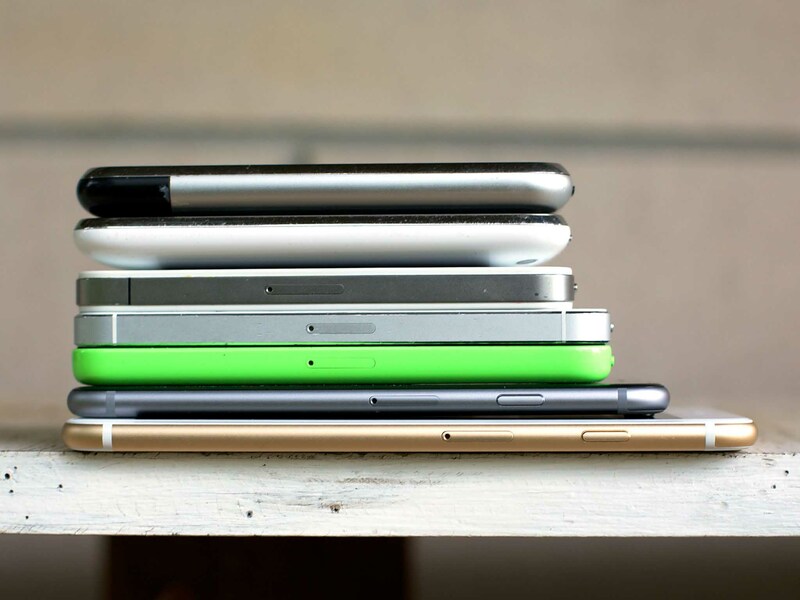 For some some, all of this might make for an iPhone that's so smooth it's almost slippery. 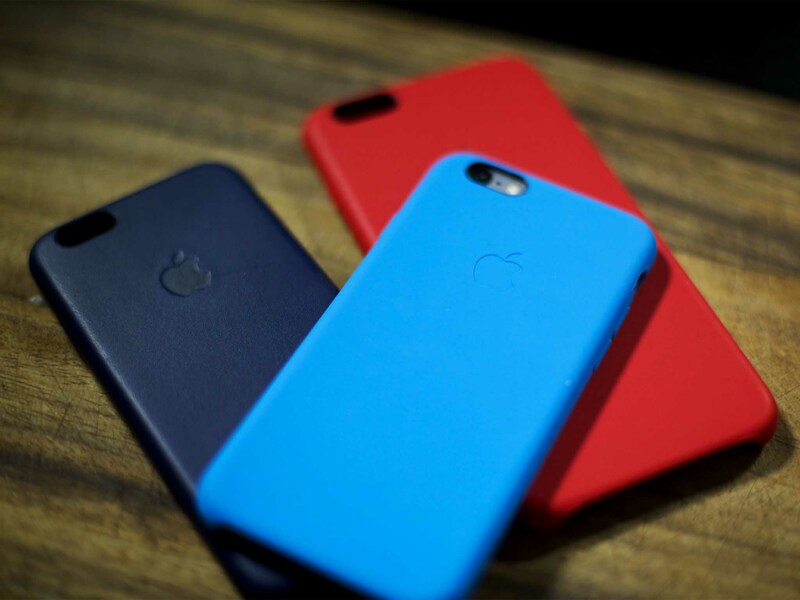 If you're one of them, you'll want a case. For others, however, it'll make for an iPhone that feels just exactly like an iPhone, only more so. Back in 2007, the iPhone had what was considered a remarkable 3.5-inch, 480x320 resolution, 163 pixels per inch (ppi) display. Back in 2010, the iPhone 4 had what was considered an eye-popping 3.5-inch, 960x640, 326ppi display that Apple termed "Retina". The idea was, when pixels become small enough, they disappear and all you see is your content — like opening a screen door and getting a clear view of the world beyond. Back in 2012, the iPhone 5 took that display and made it taller, and that view and made it more cinematic. It was still 326ppi and still Retina, but 4-inches and 1136x640. 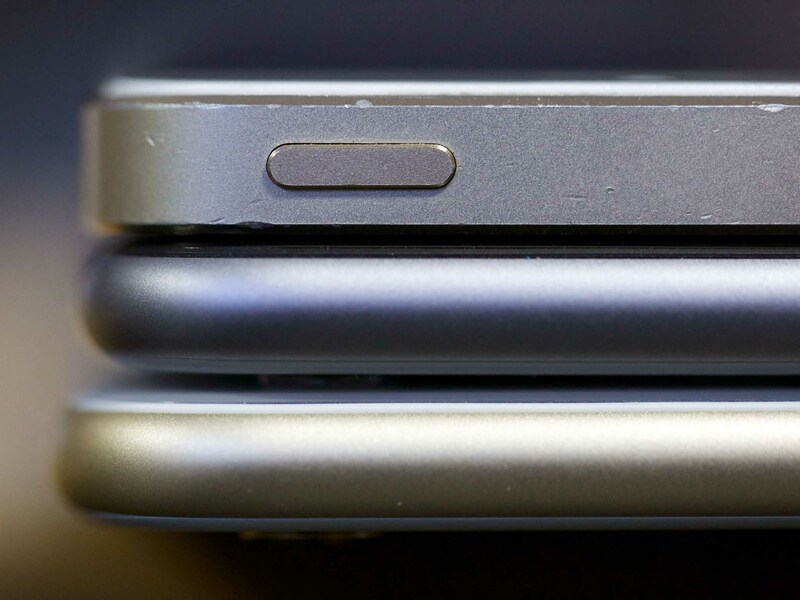 Now it's 2014 and the iPhone 6 is not only making the display taller again, but blowing the view wide open. The density is still 326 ppi but Apple is calling it Retina HD in recognition of the new 4.7-inch size and bigger-than-720p resolution of 1334x750. Apple isn't just increasing the size of the display, however. They're increasing the quality. The iPhone 6 implements the full sRGB color gamut. That means all colors, including the reds and purples that are sometimes suppressed on lesser displays, will look deep and vibrant. It's great for everyone, but particularly great for photographers, artists, designers, and other creative professionals who want to move graphics from desktop to mobile and maintain color accuracy. It means we can play around with lower contrasts and subtle tonal changes and still count on the iPhone to properly showcase our work. The panel itself is also improved. Apple has used in-plane switching (IPS) panels for several generations of iPhone now, but they've all been single domain. 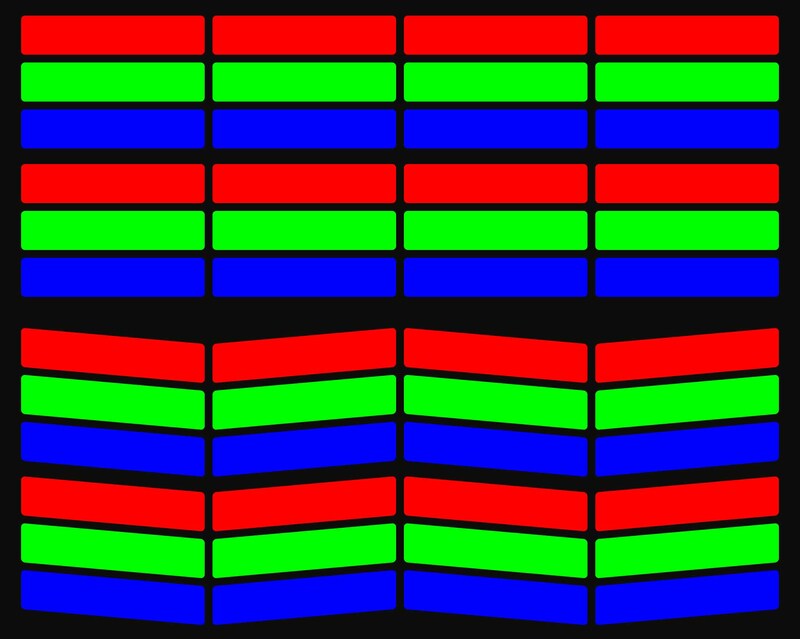 In other words, the pixels — and the red, green, and blue subpixels that compose them — are stacked in strict rows and columns parallel to the display. 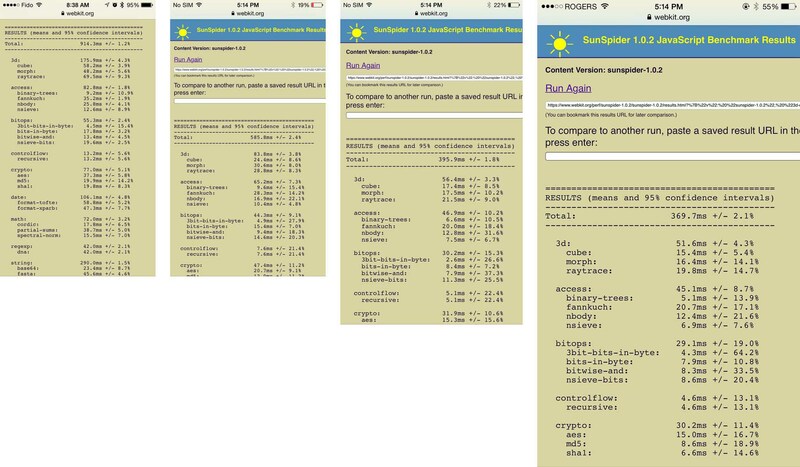 With the iPhone 6, apple is using dual-domain (DD-IPS) panels. DD-IPS skews the pixels, essentially slanting one column down and next on up. This helps compensate for uneven lighting and color distortion, providing for even wider viewing angles and a better contrast ratio, typically 1400:1. That's compared to 800:1 on the iPhone 5s. There's some concern with DD-IPS that blacks can take on a slight purplish hue at some angles, but I've seen none of that so far on the iPhone 6. I have noticed how great the display looks, however, even from the more extreme angles. That's important because the bigger the display the more apt you are to want to share it. So, if you're looking at photos or Facebook posts or YouTube videos and family, friends, or colleagues are sitting next to you, they can look on from an angle and everything will still be bright and clear. The DD-IPS panel is still backlit by light-emitting diodes (LED), and is still a liquid crystal display (LCD). Now, however, Apple is photographically aligning the crystals using ultraviolet light. That helps keep blacks dark and text crisp. Apple has also added a new polarizer. Designed to reduce glare, polarizers work by placing parallel lines across a surface to filter out components of the reflected light. They're typically angled so the chances of direct horizontal or vertical interference is minimized. If you're wearing polarized sunglasses, however, and you're looking at a polarized iPhone screen, and the filters do happen to line up, the display can darken, colors can shift, and your view can be blocked. The new polarizer is designed to make that as unlikely to happen as possible. The overall effect is both the same and better. Pixels on the iPhone 6 still look as though they're embedded in the glass of the display, just like they did on the iPhone 5s. Now, however, every single one of those pixels looks more colorful, clearer, and sharper, at more anglers and in a wider range of conditions. Before the iPhone display looked fantastic for you. Now it looks fantastic for those around you as well. 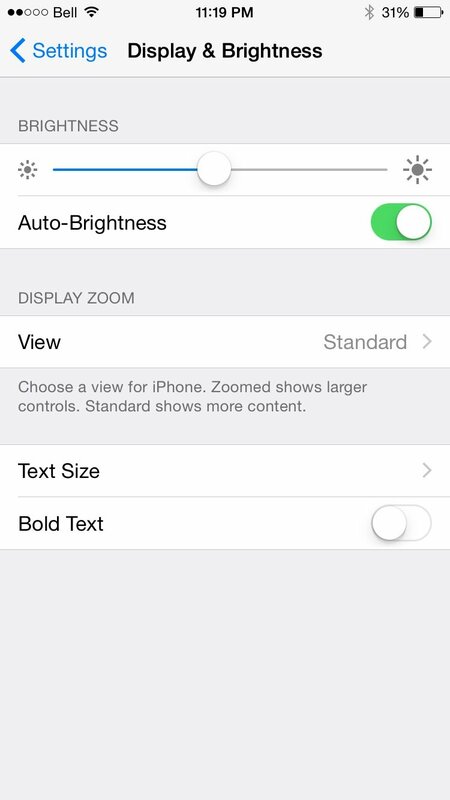 Best, of all, during setup or at any time in Settings > Display & Brightness, you can choose to have the iPhone 6's display operate in one of two different modes — standard or zoom. Standard is for people with great eyesight who want to see more content. It keeps the iPhone 6 at its native 1334x750 resolution and uses every one of those pixels to show more icons, more text, more of everything. Zoom is for people with not-so-great eyesight who want to see better. It takes the iPhone 5-sized 1136x640 interface and scales it up to fit the physically larger iPhone 6 screen. That means magnified icons, magnified text, magnified everything. It's the same technology Apple's using to present apps that haven't yet updated to natively support the iPhone 6 display, and what they call a "desktop quality scaler". Whether that means morphological, like the one used in OS X to preserve shapes, or something else we don't yet know. Whatever it is, it works well. Sure, the scaling might bother people with very keen eyes who can see (and can't unsee) single horizontal lines flicker when they scroll by. For people who just couldn't see the older, smaller displays, however, the accessibility gains obliterate any other concerns. Thanks to the Display Zoom option, Apple's not only serving those who want more to see, but of those who need to see more. It might seem like a simple setting, but it'll make a huge difference. It'll once again make the iPhone not only more usable but more inclusive. 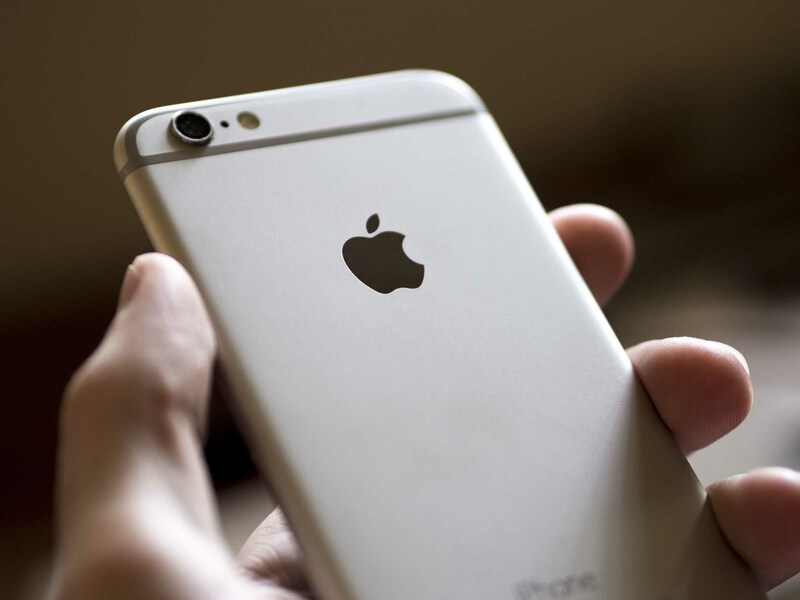 The iPhone 6 is powered by the Apple A8 system-on-a-chip (SoC). Apple began designing their own SoC with the Apple A4 in 2010 and custom designing them with the Apple A7 in 2013. That's when they transitioned from licensing reference designs, like the Cortex series, to licensing architectures, namely ARMv8. That enabled Apple to not only get faster speeds, thanks to more registers and a cleaner instruction set, and hardwired encryption for Touch ID, but get to 64-bit on mobile before manufacturing powerhouses like Qualcomm and Samsung. The Apple A8 combines a second generation dual-core, 1.38GHz "Cyclone" (CPU) with what's estimated by Chipworks to be a quad-core Imagination PowerVR GX6450 graphics processing unit (GPU). The result is speed gains of 25% on general computing and 50% on graphics, but also power savings of 50%. That's what lets the iPhone 6 outperform previous iPhones and, even with its larger display, still get equal or better battery life. The iPhone 6 gets 14 hours of talk time on 3G as opposed to 10 hours for the iPhone 5s, up to 10 hours of cellular and 11 of Wi-Fi browsing, up from 8 and 10 on the iPhone 5s. Video and audio playback are likewise boosted to 11 and 50 hours respectively, up from 10 and 40 on the iPhone 5s. I haven't had time to do extensive battery tests yet, but anecdotally my iPhone 6 has slightly more power left after both typical and heavy days of usage than my iPhone 5s did when it was new. Apple's typically realistic verging on conservative with their estimates, so that's not surprising. Beyond battery life, Apple says the power efficiency of the A8 also allows them to sustain performance over longer periods of time. Batteries don't just provide power, they provide insulation. So, chipsets typically start fast and then throttle down after only a few minutes to avoid overheating. 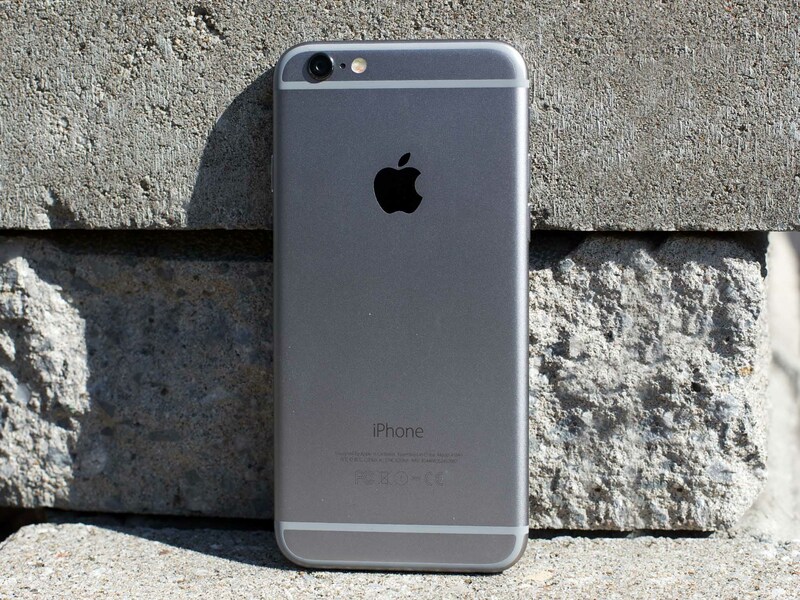 The Apple A8, by contrast, gives off less heat which means it can be kept at the same speed. Theoretically it's like a race car that can stay in the passing lane rather than having to downshift into the slow lane. 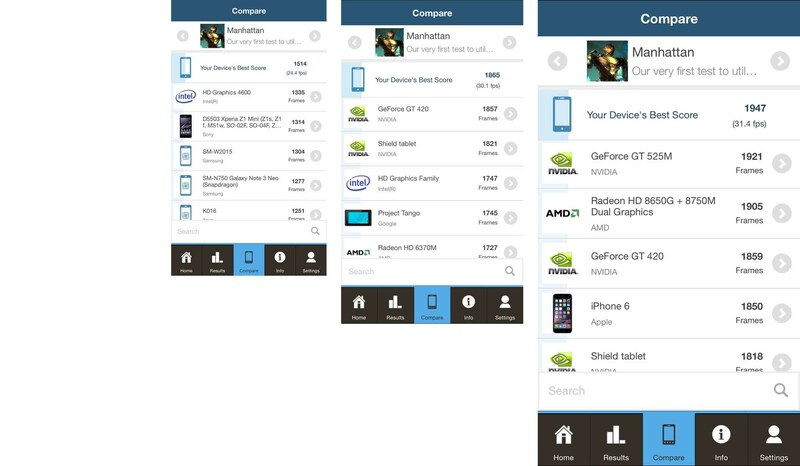 Apple also says the iPhone 6 is faster than the original iPhone by up to 50x on CPU and 84x on GPU. Compared to the last two generations, the gains are still impressive. 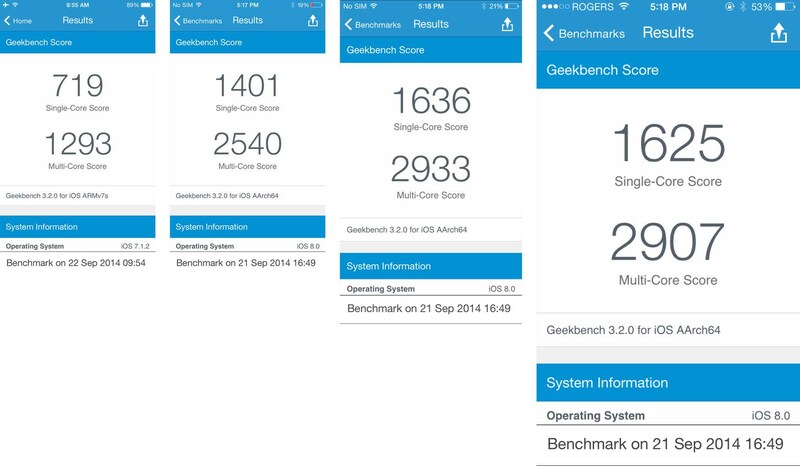 Apple is also including a second generation motion coprocessor in the iPhone 6, dubbed the Apple M8. The M8, rumored to be named "Phosphorous", has been identified by iFixit as an LPC18B1 microcontroller, which is similar to the LPC18A1 found in the Apple M7. The Apple M8's functionality remains largely the same as last's year M7, namely to collect motion data while the Apple A8 sleeps to conserve power. 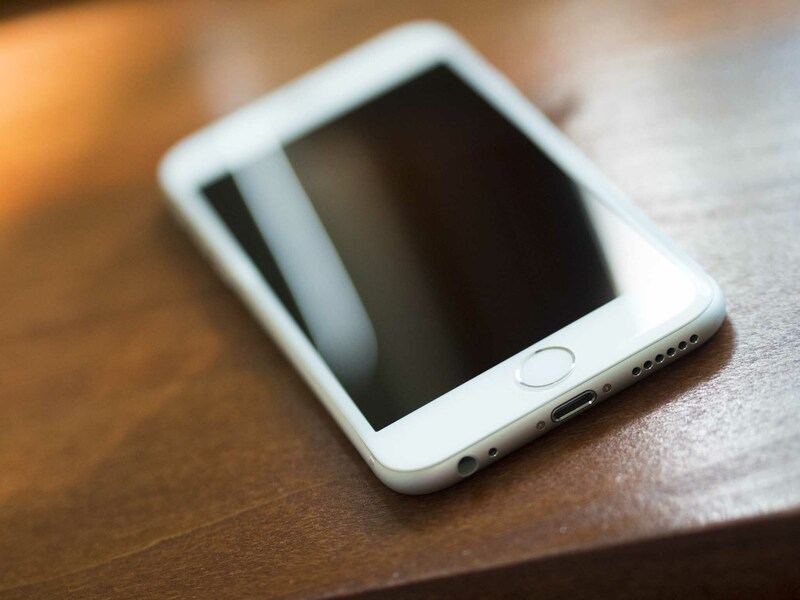 The biggest change comes from the addition of a new sensor to the iPhone 6 — a barometer. Measuring air pressure, when combined with the accelerometer, magnometer, and gyroscope, it allows the M8 to monitor elevation changes. That means it can not only track the steps you take, but the stairs or hills you climb as well. All of that ties into Apple's new Health app which, combined with their new HealthKit framework, serves as a repository for the data collected by the M8 and, optionally, other sources. Since the transition to ARMv8 and the addition of a motion coprocessor all started last year with the Apple A7 and M7, it's tempting to dismiss the Apple A8 and M8 as mere iterative updates. However, the battery life and the barometer mean they're also more encompassing updates. They let you do new things and do them better and for longer. Whether it's surviving in a signal-deprived airport or completing a gaming session with juice to spare or returning from a field day with all your data safely stored, the matching of power and power efficiency and distance and elevation is a big improvement. And that's not even counting the improvements the Apple A8 affords the new cameras and other new features. The iPhone 6's rear-facing iSight camera still sports a five-element lens with a sapphire crystal lens cover, still has a hybrid IR-filter and backside illuminated sensor (BSI), and it's still the same 8 megapixels it's been since the iPhone 4s. Some may argue that the iPhone needs more megapixels, that there should be a race in mobile now the way it was in point-and-shoot years ago. The problem with megapixels is that they represent quantity, not quality: You can get more megapixels by carving the same sensor up into smaller pixels, but that typically results in larger photographs with poorer quality. Last year, Apple made the choice not to go for more pixels, but bigger pixels —1.5 microns at f/2.2 —and they've stuck with this sensor for the iPhone 6 as well. If you really want to shoot images for posters or billboards, or want to take advantage of significant downsampling, you should look to megapixels. If you want great photos, look beyond them. 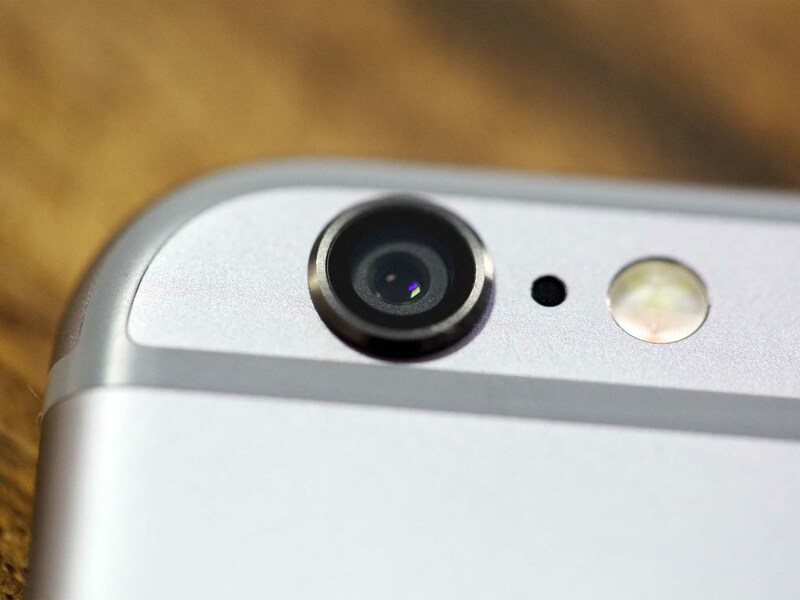 One of the ways Apple is going beyond the megapixel fight is with focus pixels. Typically found in higher-end cameras, focus pixels allow for something called phase-detection autofocus: Basically, there are dedicated pairs of pixels in the image sensor that read the light and instruct the camera's optics on how to adjust to achieve focus. This results in much faster focusing than the older, contrast-based system, which moved the lens back and forth until it could lock on. This lets the iPhone 6 focus almost twice as quickly as the iPhone 5s could—so quickly, it feels almost instant. You typically don't even get to see the focus square appear on the screen unless you specifically tap to change focus. 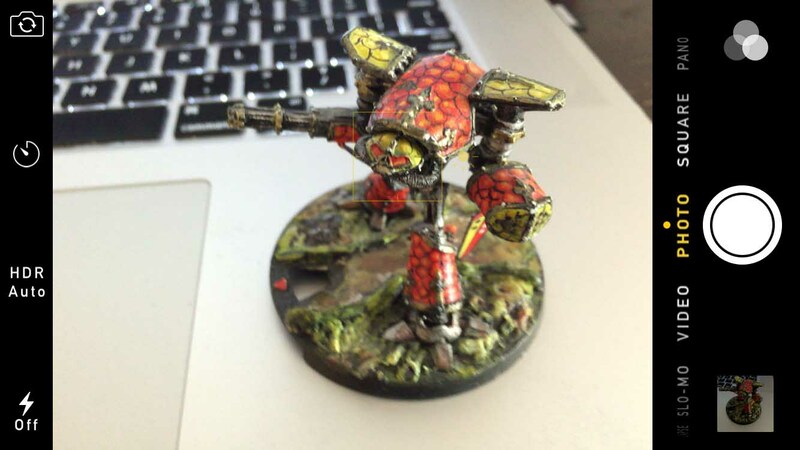 The problem with megapixels is that they represent quantity, not quality. There's next-generation tonal-mapping now, advanced noise reduction, and face detection has also been improved since the iPhone 5s—not in number of faces detected, but in speed and size. The iPhone 6 can lock focus on faces, but can also lock onto smaller faces, which comes in especially handy for group shots or travel shots when the people you care about are posing with the sights you want to remember. In burst mode, face detection is also better at recognizing open eyes and smiles, so when you hold your finger down on the shutter, the ISP will filter out the bad shots and present you with better options than were previously possible. Apple also offers a timer mode in iOS 8, as well as full on manual camera controls for third-party App Store apps, so experts and enthusiasts can adjust focus, exposure, and white balance to their heart's content. 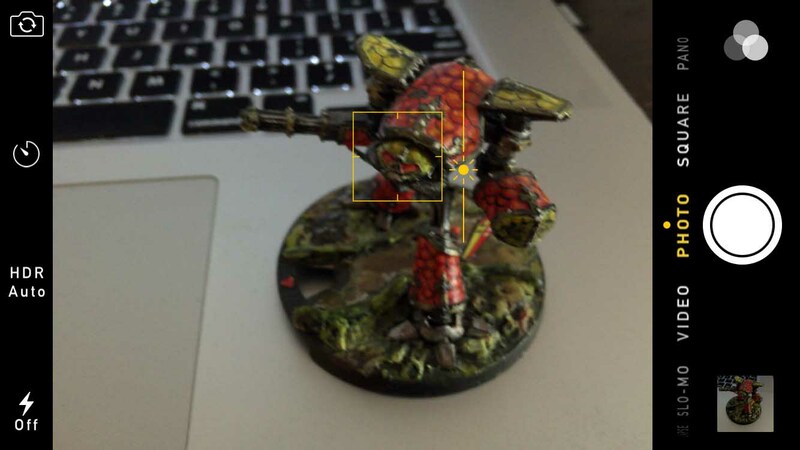 The company has also backed exposure bias right into the camera interface. Tap to focus and you'll see a sun icon; drag it up or down, and you bias the exposure brighter or darker. Exposure bias is expressed in f-stops; you can bias your photos between -8 and +8. Panoramic photography has additionally received a significant boost as part of the iPhone 6, with panorama size increasing from 28 megapixels to 43 megapixels. Now, while I just finished stating why megapixels don't matter, panoramas stitch together one image from many: The 28 megapixel panoramas came from capturing at a 2442-pixel height; the new 43 megapixel panos come from capturing at a 3194-pixel height. 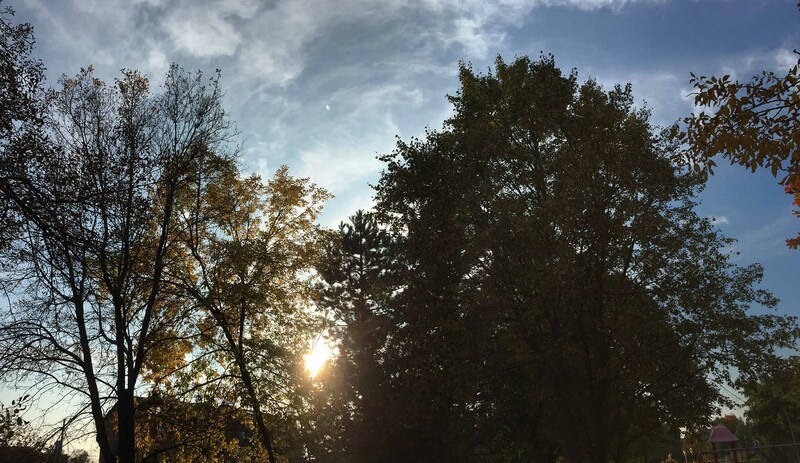 The iPhone 5s and 6's 8-megapixel camera are both capable of taking photos that are 3264 pixels high, but previously, the pano process wasn't taking full advantage of that resolution. Now, likely because of the Apple A8, it's getting much, much closer. 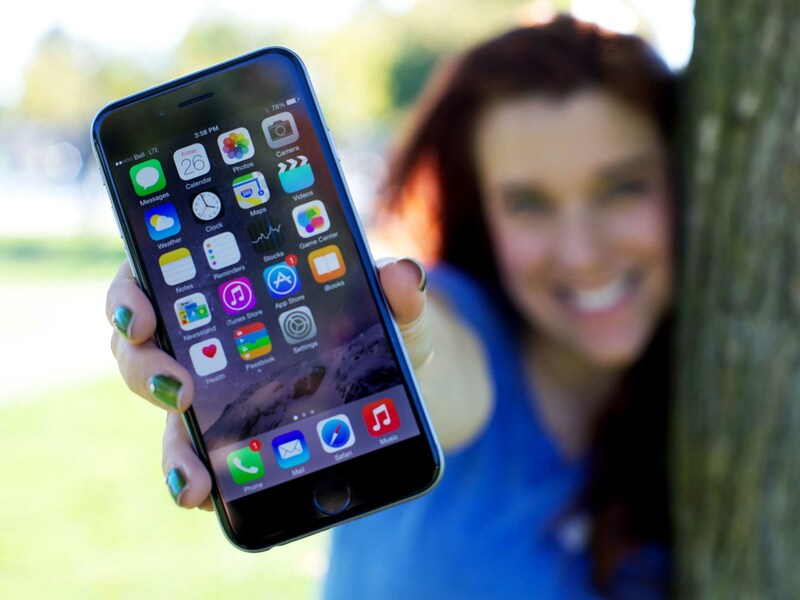 When it comes to shooting video, the iPhone 6 has been given an even more significant update. The same focus pixels that allow for near-instant focus on still pictures also provide continuous focus for video. So, as you move your camera between subjects, your video will stay in focus throughout—whether those subjects are near, far, centered, or not. 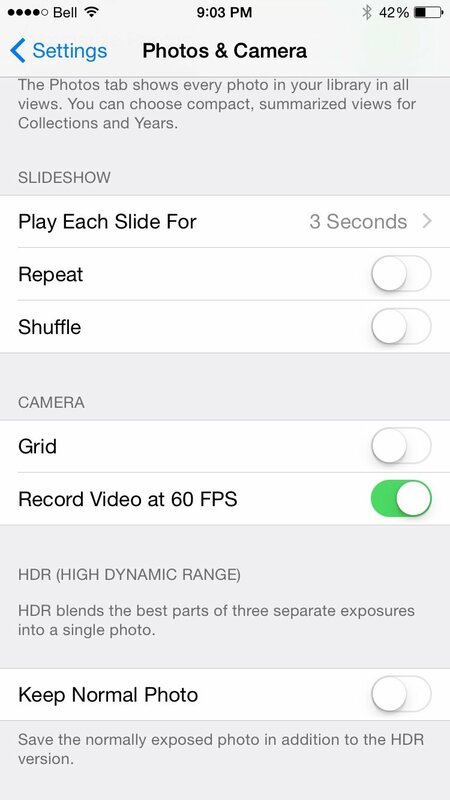 There's also a new 60 frames-per-second (FPS) mode that can be enabled in Settings > Photos & Camera. 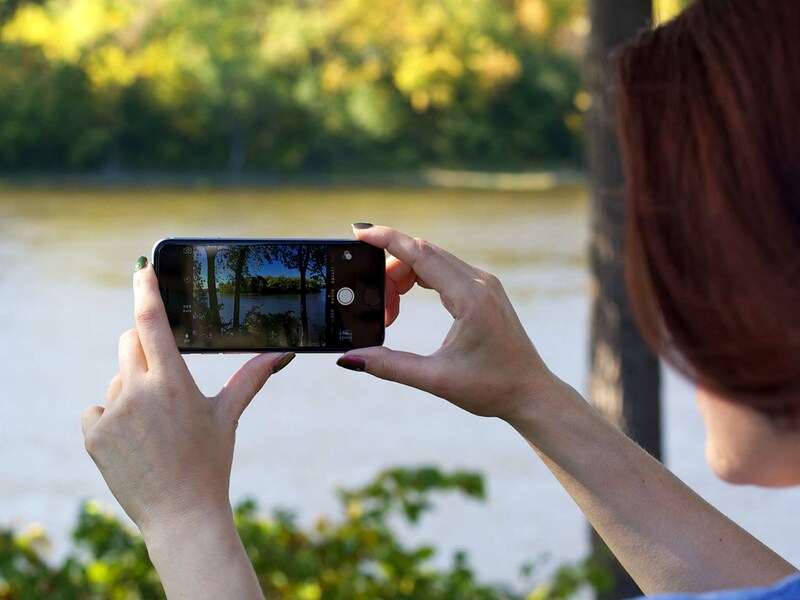 With it, the iPhone shoots double the amount of frames as a standard recording. This isn't slow motion; it isn't 60fps being played back at 30fps for a half-speed effect. Instead, this is 60fps being played back at 60fps. Sometimes called high frame rate (HFR), it allows for sharper, smoother, and more realistic-looking action. Hollywood has begun experimenting with HFR in some big-budget productions, though it's resulted in some odd-looking lighting and exposed some rough edges in makeup and effects. In other words, it sometimes looks too realistic. After decades of movies displayed at 24FPS, we're used to seeing lower frame rates work. They've come to look normal to us. Thankfully, the 60fps video coming off the iPhone 6 has been fine. Maybe that's because I'm not filming a mythical quest but just casual video around the city, but the lighting looks fine and I've yet to find an-ill concealed dwarf nose in any of the footage I've shot. 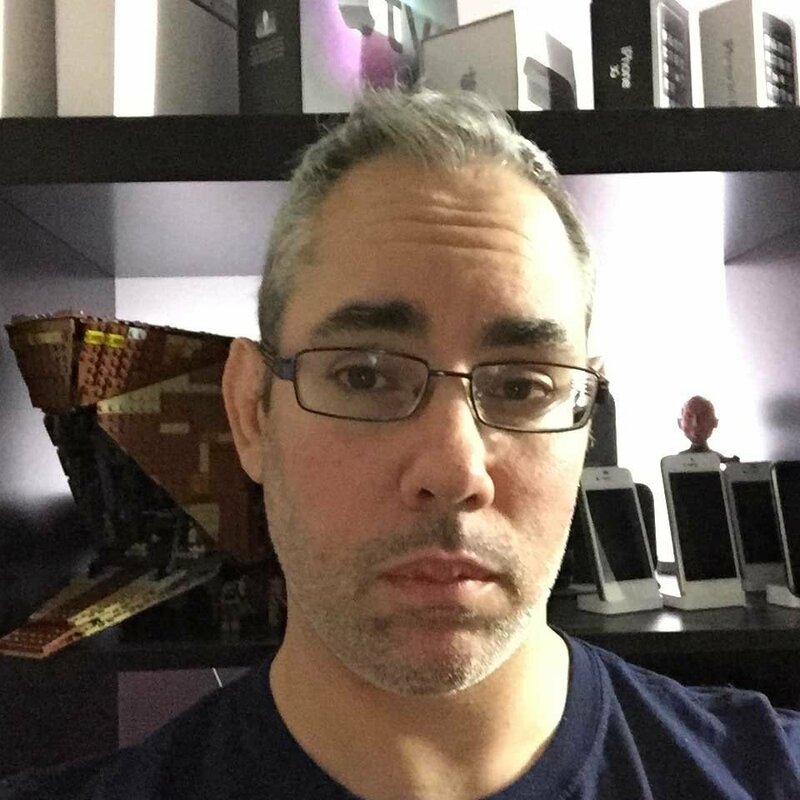 That the iPhone 6 can do 1080p at 60fps, however, does make me wonder about 4K (2160p) at 30fps. It's arguable whether Apple needs to go there yet, but other manufacturers have, and even for downsampling to 1080p, it would be one more tool in the box. Apple has also ramped slow-motion video up to 240fps. 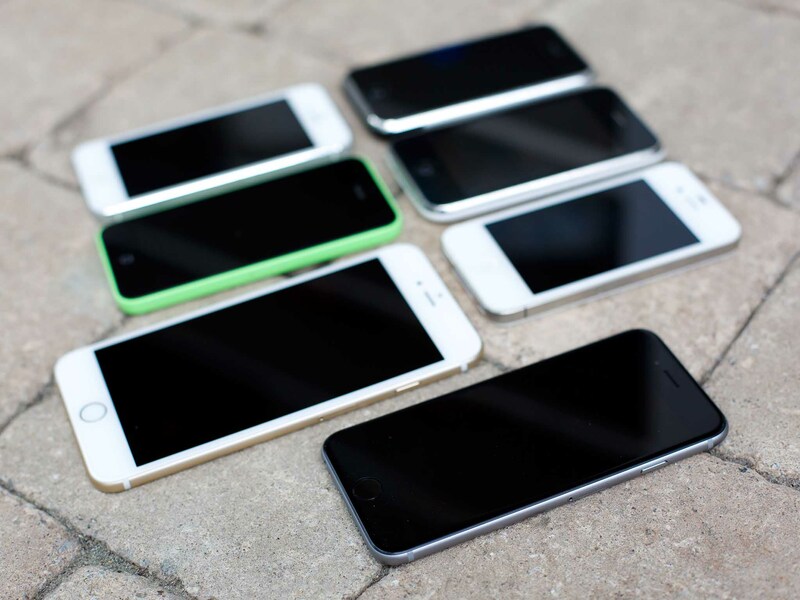 That's twice as fast as the slow motion they debuted last year for the iPhone 5s. It means that, instead of getting video that plays back at 1/4 speed, you can get video that plays back at 1/8th speed. If you thought your belly-flops, wine drops, ninja-rolls, and slam dunks looked great before, at 240fps they'll blow your mind. Slowly. Taking more frames in the same amount of time means each frame gets less light, which is why 120fps video could look dark on the iPhone 5s. 240fps video on the iPhone 6 can look dark in the same way, but because the iPhone 6 can do it, you can also step down to 120fps video and get much better lit results. There's a new time-lapse mode in iOS 8 that takes photos at dynamic intervals and stitches them together in a video. It's what you see in movies and TV when clouds stream rapidly by, the sun quickly sets and rises again, and a house gets built in moment by people moving at incredible speed. There's also a new "cinematic" image stabilization that uses the ISP in the Apple A8 to analyze what you shoot to isolate and remove unwanted motion from your video. So, for example, if you're on roller skates and you're filming someone else on roller skates, the image stabilization will try and remove any bumps, jostles, shakes, or other disturbances you experience while shooting. That way your subject doesn't look like they're bumping, jostling, or shaking; they just look like they're skating smoothly. iMovie and Final Cut Pro have done this on the desktop in post-production for years. 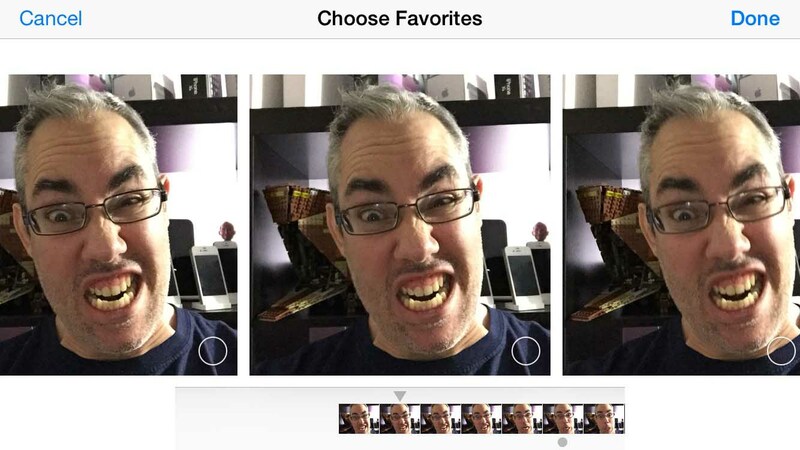 Now the iPhone 6 is doing it as part of the capture process right on your phone. Apple hasn't chosen to bolt on a big, brand name lens or shift process to a server farm. 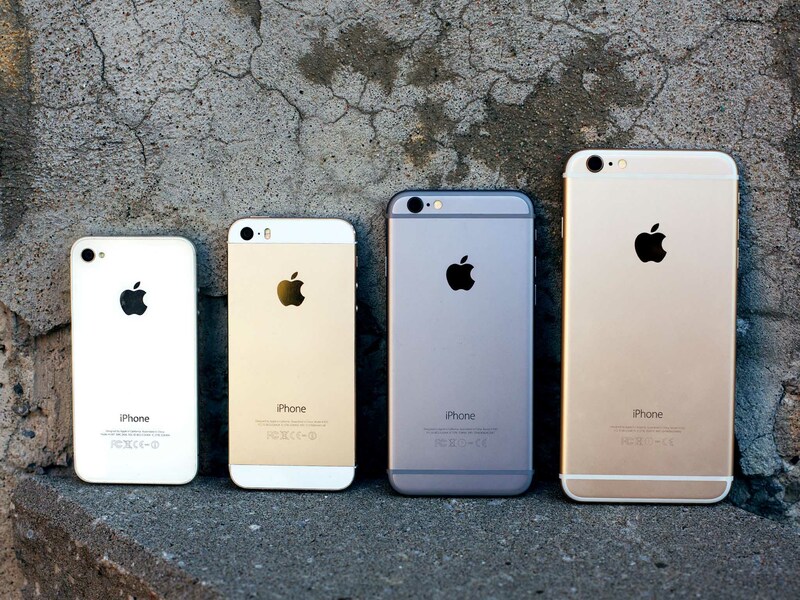 Those choices would compromise the lightness and independence of the iPhone. Instead, Apple has doubled down on the ISP, and it's paying off. Even without big glass or online processing, the iPhone is able to capture fantastic "everyday" photos — an unexpected smile on your child's face, your dog learning a new trick, the sun hitting a tree just so, an amazing plate at a new restaurant, a gift being opened and adored, a new outfit before the big day. The idea is that you shouldn't need a lot of knowledge about photography or a lot of time to prepare for your photos. Those things are a definite advantage if you have them, but they're not necessary. The camera system is doing all the hard work for you. Just point, shoot, and get the best results possible almost every single time. And, with the iPhone 6, Apple has once again expanded expanded the range of conditions under which the camera system—and now the video system—can deliver those results. It's the reason why the iPhone remains the most popular still camera—and I suspect, soon to be video—in the world. And if the iPhone 6 is any indication, that won't be changing anytime soon. 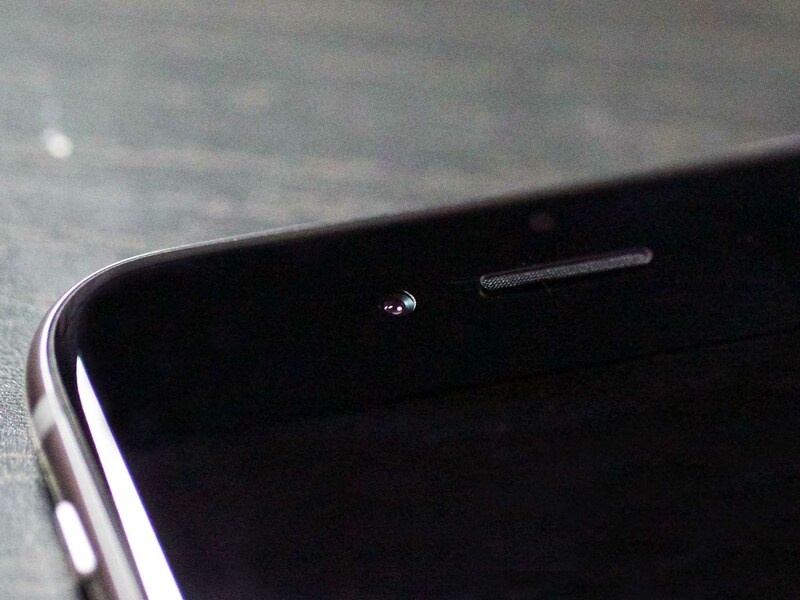 The front-facing FaceTime HD camera on the iPhone 6 still sports the same 1.2-megapixel size sensor and 720p video mode of its predecessor, but, like the back camera, the sensor itself has been upgraded; additionally, the front lens now has a f/2.2 aperture that, according to Apple, lets it capture 81% more light. Apple has also implemented single exposure high-dynamic range (HDR) for both photos and video. Typically HDR is achieved by taking bracketed exposures—including underexposures and overexposures—to better capture detail in both light and shadow. There are a few different ways to combine these into a single photograph, but it's unclear which one Apple is currently using. Whatever they're doing, though, it's working. 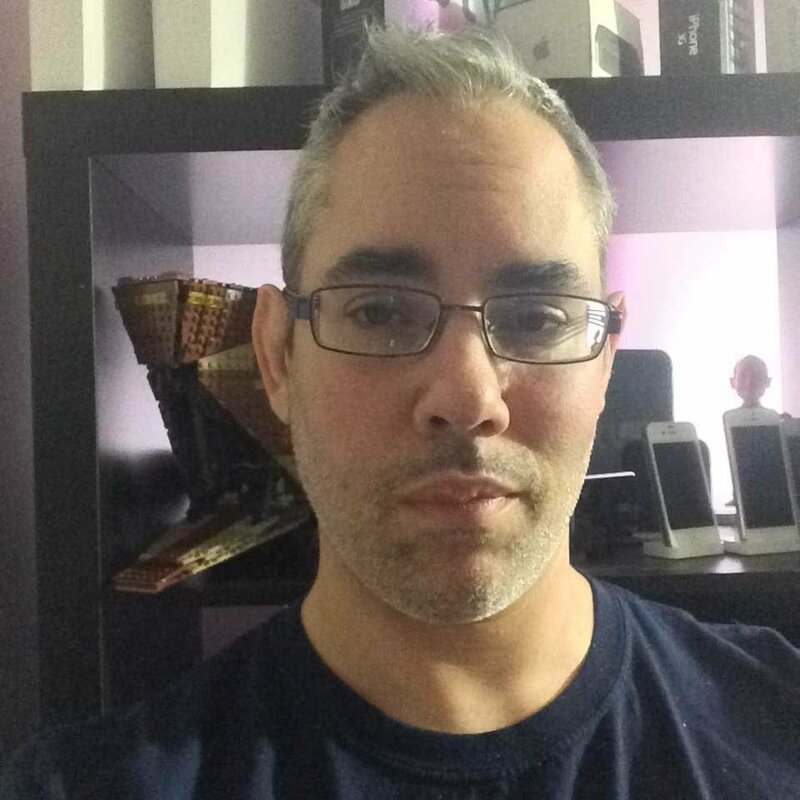 Both selfies and FaceTime video calls look better exposed and show better detail than they did on the iPhone 5s. And yes, noted without comment for those keeping track at home, that's two years in a row Apple has improved your ability to take selfies and make FaceTime video calls in low-light. If you go all the way back to the 2011 iPhone 4s, the progression through iPhone 5s to the iPhone 6 is much more noticeable. And impressive. It's harder to make the megapixel argument here, though. Sure, selfies and video chat don't demand the same resolution as you'll need for beautiful portraits and landscapes, but a bump up—say, to 4 megapixels and 1080p video?—wouldn't be remiss. 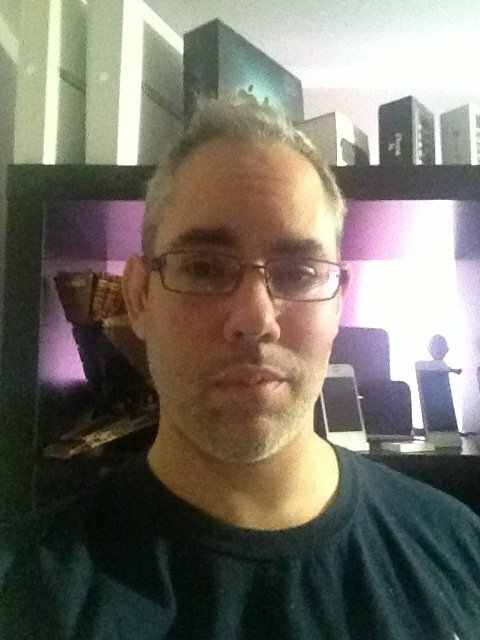 Apple has, however, implemented high-efficiency video coding (HEVC, more pleasantly referred to as H.265) for FaceTime calls; this allows them to achieve the same quality of call as the older H.264 standard but at half the bitrate, providing you with great-looking calls at a much lower bandwidth cost. Hopefully we see more H.265 from Apple — and iTunes — in the future. The FaceTime HD camera also gets the same exposure biasing controls and face-detection eye and smile improvements as the rear iSight camera, and burst mode as well. As with the iSight camera, the ISP near-instantly sorts through all the photos in the burst and singles out the best ones for you. 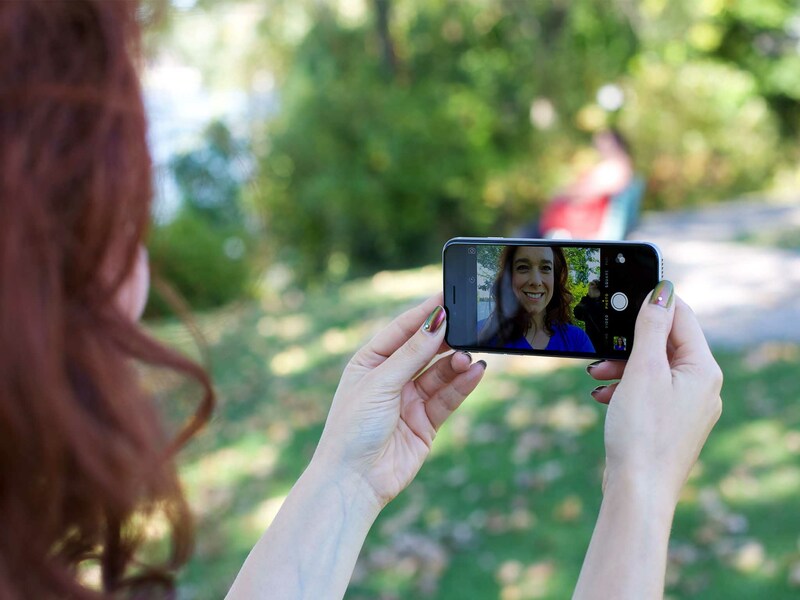 All of that make it easier than ever to capture better selfies for your online profiles or to share with your friends and loved ones. Or, you know, just to capture the full-range of goofy facial expressions you, your family, and your pets can make. That's what a front-facing camera is for, after all. Apple's been steadily increasing the 4G long-term evolution (LTE) capabilities of the iPhone since they added the technology back in 2012. Last year it was all about adding extra bands so the iPhone could be used on LTE by more people in more places. This year there are 7 more again, bringing the total to 20. VoLTE carries voice as data. Everything is a packet and all packets travel through the same pipe. Likewise, LTE radios can't do simultaneous voice and data. 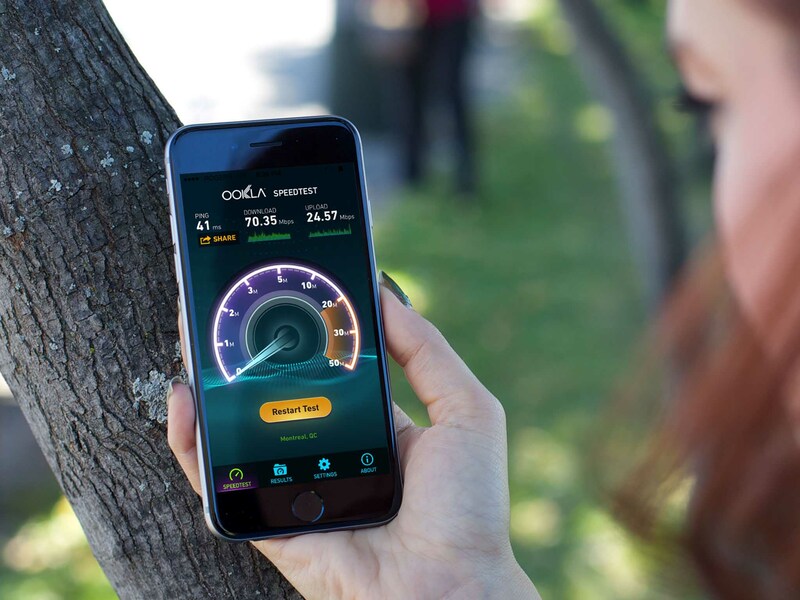 On GSM networks, the technology used by AT&T and T-Mobile, and most carriers around the world, data simply drops down to HSPA. So, if a call comes in, you stay on the internet, and in many cases at decent or even comparable speeds. On CDMA networks you can't drop down to EVDO Rev. A, because that can't handle simultaneous voice and data either, so again, knocked off the internet. Some manufacturers get around this by using two radios, but that requires more power, effectively punishing the entire world for the legacy technology of used by just a handful of carriers around the globe. VoLTE fixes all that by carrying voice as data. Like voice over IP (VoIP), which services such as Skype and FaceTime Audio have been using for years now, everything is a packet and all packets travel through the same pipe. Also like FaceTime Audio, VoLTE provides for wideband calls, so everyone sounds not only clearer, but better and more human. Carriers are slowly beginning to roll out VoLTE, so it'll be a while before it's available to more than just a few people in a few places. Ultimately, however, VoLTE will let carriers get rid of their voice services entirely and move everything over to data, freeing up bandwidth that'll make both packet-based voice and data better for everyone. Still, it's the future, and it's great the iPhone 6 is ready for it. iOS 8 is also bringing Wi-Fi calling to the iPhone, which lets you use a local internet connection to place calls in areas where cellular service is barely or non-existent. It'll also let you seamlessly transition to cellular when you leave Wi-Fi range and, ideally, go outside where your signal improves. Very few carriers support it right now, and in very few places, but again like VoLTE, it should spread over time. I have neither LTE Advanced nor VoLTE in my area yet, but we'll test both as soon as possible and update this review with the results. 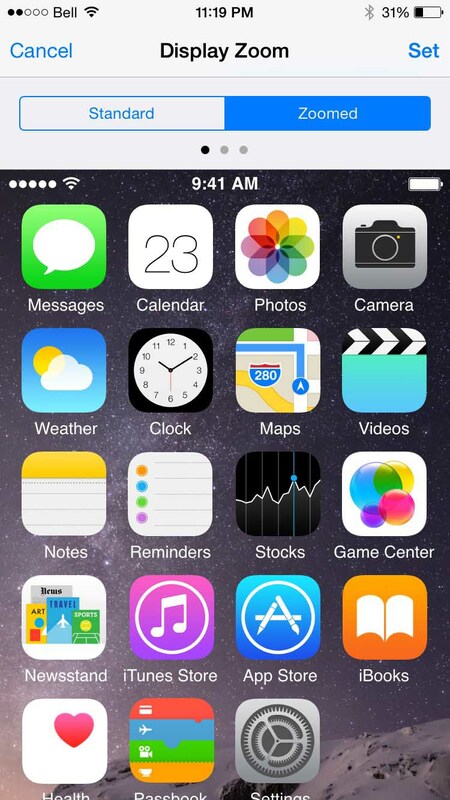 Wi-Fi in general has taken a significant step forward with the iPhone 6. 802.11ac is now supported, which came to the MacBooks and Apple's AirPort Extreme and Time Capsule routers last year. The iPhone 6 802.11ac implementation supports very-high throughput (VHT) over a contiguous 80Mhz channel (VHT80), and 256 quadrupole amplitude modulation (QAM). The former defines how big the pipe is, the latter how many bits — in this case 8 — you can cram down it at once. It combines, according to Apple, to make the 802.11ac radio in the iPhone 6 up to 3x faster than the 802.11n radio in last year's iPhone 5s. Apple pegs the theoretical maximum at 433Mbps. That's not as fast as the theoretical maximum of 1300Mbps on the 802.11ac MacBooks or AirPorts, but it's fast enough for pretty much anything you'd want to do on an iPhone today. It's also fast enough to improve battery efficiency. 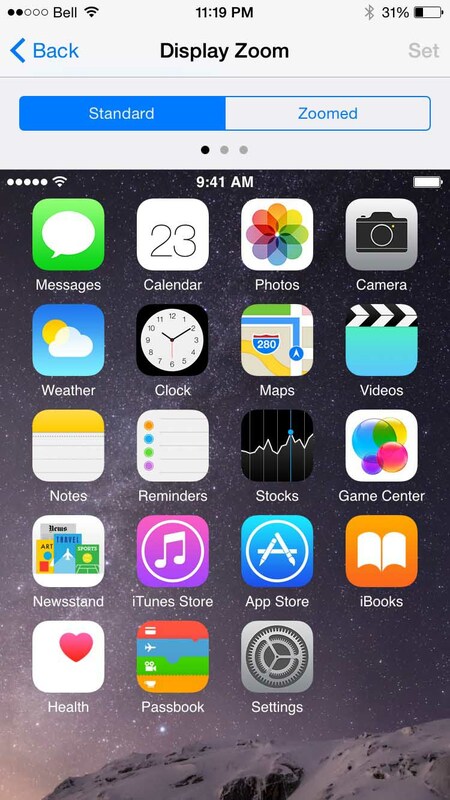 On any mobile device, including the iPhone 6, you always want to "race to sleep". The faster you can transmit data, the less time the radio has to be on, and the less power it expends. Wired connectivity remains the same, using the Lightning to USB cable Apple introduced with the iPhone 5. There's no USB 3.0 version, but since the NAND Flash used in the iPhone still saturates below USB 3.0 speeds, there's still no real reason for it. And because the iPhone isn't based on PCI architecture, there no potential for Thunderbolt either. Which is fine, since it's increasingly a wireless world. (Apple's even beginning to embrace wireless charging with the Apple Watch. Both LTE Advanced and 802.11ac offer significantly improved speed and power efficiency, and as carriers continue to update their networks to support the new technologies Apple is already supporting, it'll only get better. The iPhone 6 includes near-field communications (NFC), a technology that enables, among other things, tap-to pay functionality in many countries around the world. Apple will be implementing just that later this month with Apple Pay. U.S only to start, Apple Pay will allow the iPhone to store your credit cards on a secure element and then access them via Passcode or Touch ID, and use them to complete transactions at NFC terminals in stores. Your bank will have to be one of the 8 currently supported, though they cover 80%+ of the U.S., and the store will have to be equipped with those NFC terminals, but all of that should expand rapidly now that the service is baked into tens of millions of iPhones. Hopefully it will expand quickly beyond the U.S. as well. I'm drenched in NFC here in Montreal. McDonald's takes it. Sears takes it. Gas stations, coffee shops, food courts — a huge swath of retail establishments take it. The same holds true in other countries. Apple isn't using NFC for anything else at this point, nor are they currently providing an NFC application programming interface (API) for developers,. Apple typically tests APIs themselves before making them available for developers — Touch ID launched in 2013 but an API was only made available in 2014 — so that's not surprising. Apple Pay will also work with apps from the App Store, letting online retailers like Apple themselves, as well as Target and others, to use Touch ID to authorize web transactions as well. Those apps are expected to launch later in October as well. 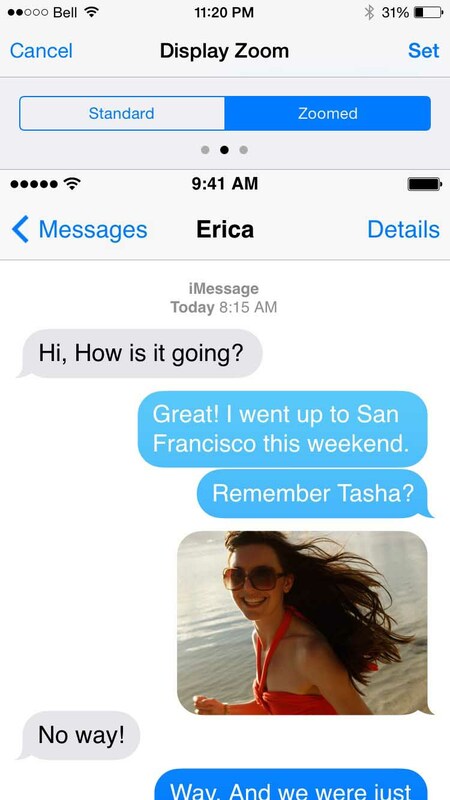 The iPhone 6 ships with iOS 8. 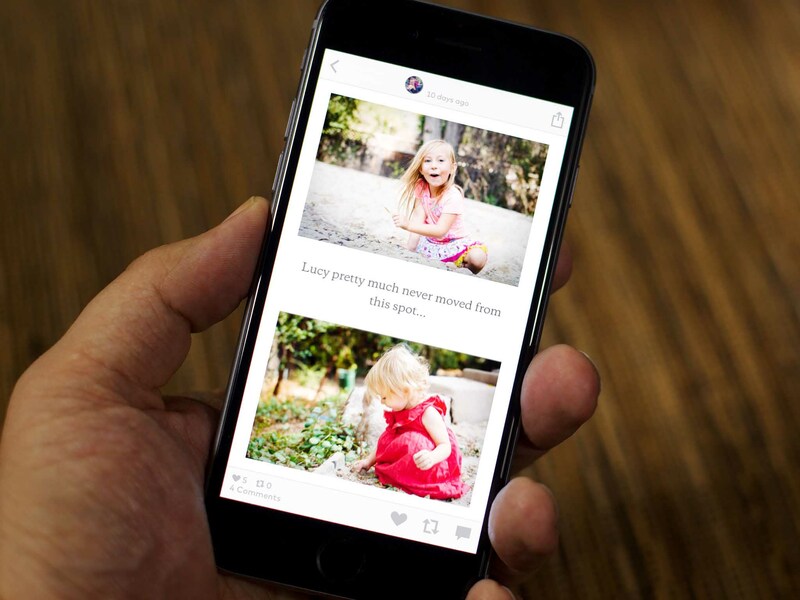 It includes updates to Messages and Photos, an all-new Health app, a predictive keyboard and contextual Spotlight, improved Mail and Safari, Family Sharing options and Continuity workflows, and there's Extensibility, which allows for interactive notifications, custom keyboards, custom sharing and action options, custom photo filters and effects, widgets, iCloud Drive, and custom storage providers. There are some iOS 8 features exclusive to the iPhone 6 (and iPhone 6 Plus), including Display Zoom and Apple Pay, detailed above. 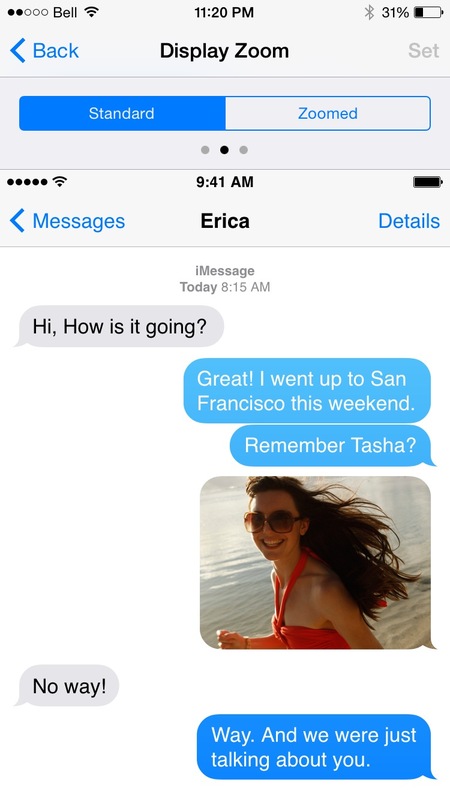 For everything — and there's a lot of it – see the iOS 8 review. No other platform enjoys as wide ranging support as the App Store. There are over a million apps now available for the iPhone, and thanks to Display Zoom, they're almost all compatible with the iPhone 6. Since it's only been a short time since launch, not all apps have updated to support the new, higher resolution of the iPhone 6 display, but more and more are updating every day. 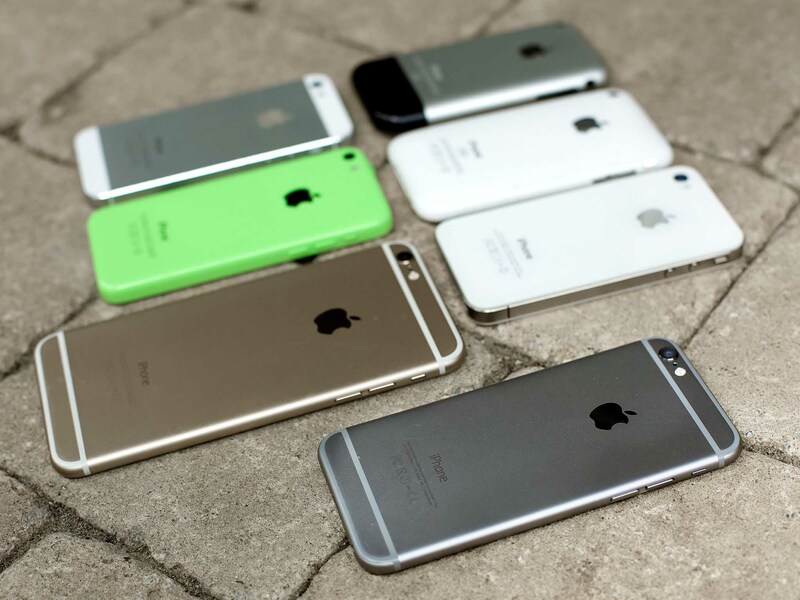 Every iPhone 6 comes with iCloud, which lets you wirelessly backup and restore your data to and from Apple's servers. iCloud also lets you re-download anything you've bought on iTunes, the App Store, or the iBooks Store, including music, movies, TV shows, apps, games, and iBooks. Apple Stores, especially when combined with iCloud, whether extended by AppleCare+ or not, provide remarkable customer support for iPhone 6 owners. Apple specialists can help you test a phone to make sure it's what you want, help you set it up, teach you how to use it, and if anything goes wrong, help you fix it. It's a feature not always included on competitive checklists but anyone who's ever needed to avail themselves of it knows just how important a feature it is. Since the iPhone 6 has an entirely new design there aren't as many cases available for it as there are for iPhones that carry over the previous year's design. 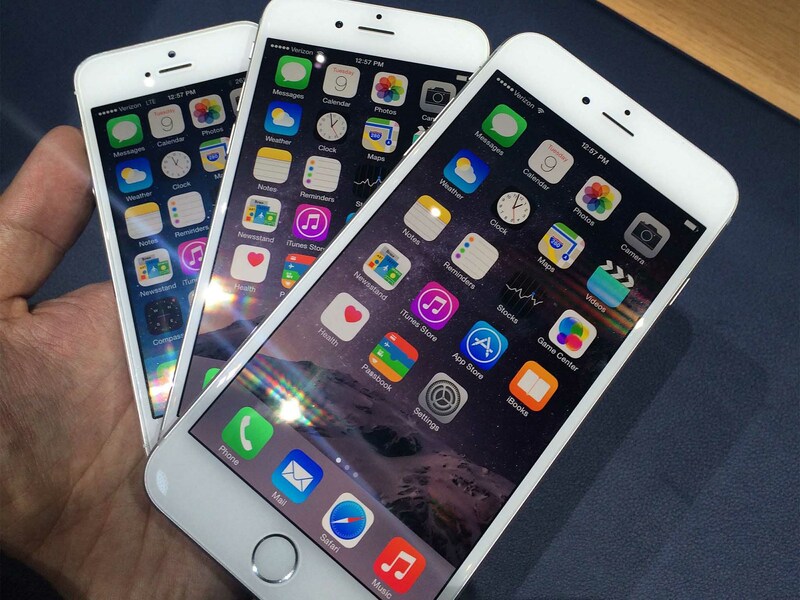 The iPhone 6 comes in three capacities, 16GB, 64GB, and 128GB. On contract, with full subsidy, they'll typically run you $199, $299, and $399 in the U.S. Off contract, full price, that's $649, $749, and $849. 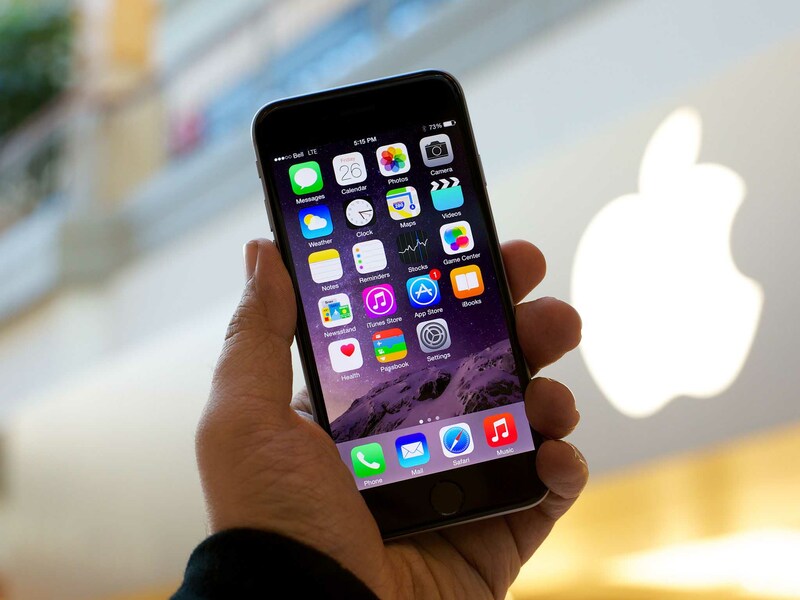 The iPhone 6 has already launched in dozens of countries and should reach hundreds by the end of 2014. Once upon a time in America, if you wanted an iPhone but couldn't use AT&T, you had to settle for not-an-iPhone on another network. Then, in 2011, the iPhone hit Verizon, and eventually you could get an iPhone on any network. Once upon a time on planet earth, if you wanted an iPhone but couldn't use a small display, you had to settle for not-an-iPhone from another vendor. Now, you can get an iPhone with a big or even bigger display, and you can have it show you more content or magnified content. Yes, there's also a second generation 64-bit processor and motion coprocessor, improved cameras, and faster cellular and Wi-Fi networking. But none of that power matters as much as the empowerment the new iPhone has to offer. With the iPhone 6 — and the simultaneously released iPhone 6 Plus and iOS 8 — Apple hasn't just made the iPhone bigger and better, they've made it something more capable and more accessible.